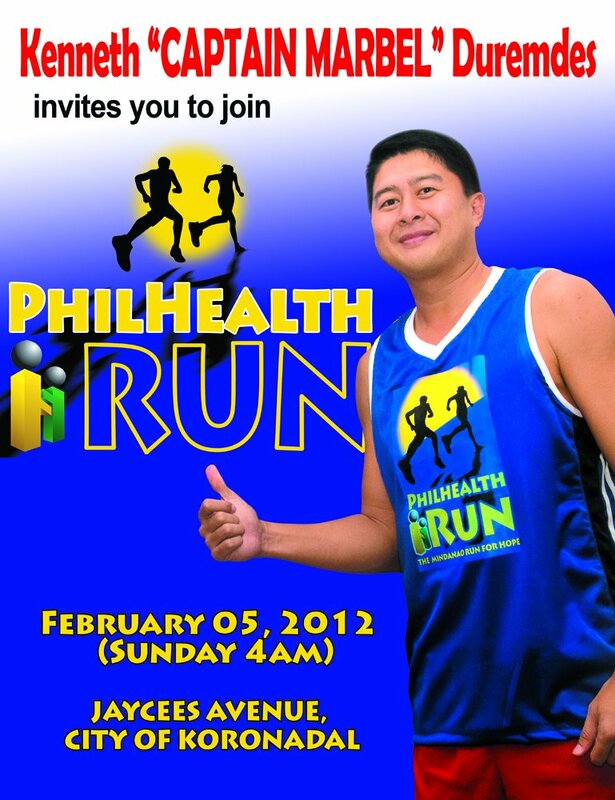 PBA stalwart player Kenneth Duremdes more popularly known as "Captain Marbel" will join Philhealth's Mindanao Run for Hope this coming February 5, 2012 in Koronadal City, South Cotabato. A resident of Koronadal City, Duremdes expressed his appreciation to Philhealth for initiating Philhealth Run and is hopeful for the success of the event which supports Philhealth Mindanao's advocacy on kids with cancer. In his statement during the signing ceremony with Philhealth held last December 5, Duremdes invites everyone to go out and run. “We cannot simply let this opportunity to be a role model to the youth pass. That is why I am inviting everybody to run with me, join us on this big event on February 5, 2012. Let us make this event a priority activity not only because of the benefits that we will get out of running but more so because we will be able to help lots of people”.